Every day you can make a difference by addressing global conservation and development challenges alongside a team of diverse and driven colleagues. Rare looks for people who are curious about the world, willing to try new things and build their skills to better advance Rare’s mission to inspire change so people and nature thrive. If none of our current job openings is the right fit for your goals and skills, you may submit your resume to our general mailbox to let Rare know how you can contribute to our mission. To ensure that you will be considered for a position when it becomes available, we encourage you to continue visiting Rare’s Careers page periodically and applying for active openings that align with your background and experience. Although Rare was founded over 40 years ago, it retains an entrepreneurial spirit dedicated to social innovations that inspire our most valuable resource—people—to steward sustainable behaviors around the world. Rare approaches challenges as opportunities, identifying what already works, sharing knowledge among peers, taking risks, developing a generation of environmental leaders, and constantly improving as individuals and as an organization. 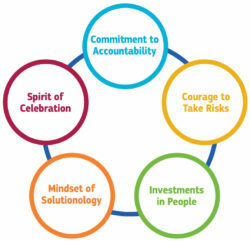 Rare’s core values define the organization as well as the individuals who make it successful. These values support Rare’s mission and culture while reminding people what is truly important when showing up to work every day. The values show that Rare dreams big, holds itself accountable and stays positive even in the face of challenges. As one of Rare’s core values, the organization believes in the talent and ingenuity of its staff. Generous vacation, holidays, personal days, sick leave, and a weeklong power-down. A compensation philosophy that pays above market level: salaries are commensurate with experience and include an annual bonus plan tied to the performance of both the organization and the individual. Generous health plans and a matched retirement savings plan. Staff training opportunities for every staff member to enhance skills and professional growth. A collaborative and motivated working environment with smart, diverse, and committed colleagues that offers a priceless work experience.